of Sauron, the elves lead the effort to reclaim the Mirkwood and remake as it once was... renaming it Eryn Lasgalen, The Wood of Greenleaves. The Dale-Lands, governed by King Bard II of Dale and his mother the Queen Regent Erna. Following the breaking of the Jangovar siege, many Easterling warriors remain as a threat to the peoples of the Dale-Land while refugees spill in from Dorwinion and Rhun. Are they friend or foe? Erebor, The Lonely Mountain, where Thorin III has ascended to the throne and oversees both activity within their kingdom and the ongoing conquest of the dwarves within Gorgoroth. How does on get to the new region? I don't see anything connecting to it. + Using the 'Journey to Hall Under the Mountain' from the Mordor Dwarf Allegiance and simply walking out of the newly raised porticullis. + Heading to Southern Mirkwood and taking a Mithril Coin travel from the Ost Galadh or Thangulhad stablemaster's to Tham Taerdol in the new zone. + Completing the newly added Black Book of Mordor: Chapter 5.5 to make use of an available insta-travel steed that links to Tham Taerdol. + Taking the Mithril Coin stable from South Bree or Galtrev to Dale. So What exactly is the grind in the new zone? The new zone has three reptutation factions as listed above; Men of Dale; Elves of Felegoth; Dwarves of Erebor. Each has their own series of cosmetic rewards, pets, housing items, and jewelry. Further below I will be posting more information, details, appearances and stats for these new rewards. Much like Central Gondor, the grind is mainly focused around obtaining the final reputation tier for the required faction in the new zone. Once one has hit kindred, a player is able to barter for the crafting recipes, teal 345 earrings, exchange Empowered Abyssal essences and acquire the Lasgalen Purification Token used in all of the new recipes. Do I need rep with all 3 factions to get what I need? Only looking in terms of armour and jewelry items, no you don't. Each reputation faction is tailored to a specific armour class and each crafting vendor offers the exact same range of rewards. You will however have to grind additional rep for particular cosmetic rewards and housing items, for example the 2H sword, secret keyhole and Dis' outfit are only available from the Dwarven reputation faction. Last edited by Hallandil; Mar 12 2018 at 08:10 AM. For the longest time (or at least a good few updates), LOTRO has been organising quests by zone. Where at the start of an area you pickup the quests and then run through a long quest-chain that encircles the entire zone. Strongholds of the North sees a movement away from this and back to the former style of using separate quest chains. 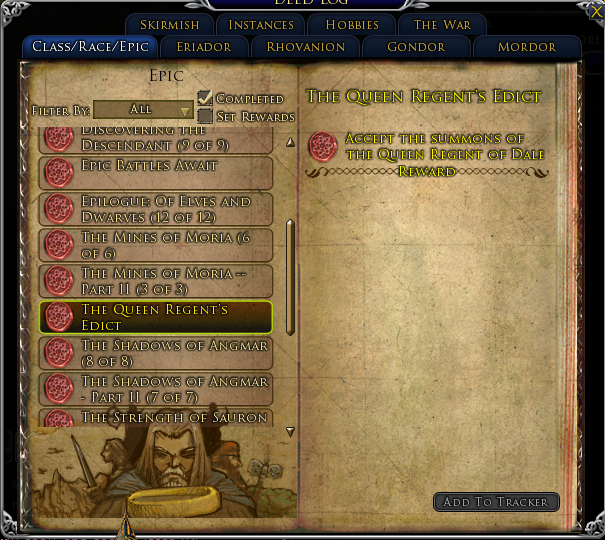 Between Eryn Lasgalen, Dale-Lands and Erebor there is a total of 8 separate quest chains available for completion. All of these quest chains can be picked up at any time from their starting npcs, with the exception of the Lake-Town quest arc, which requires the player character to have started the Trail of Rust (and consequently also Reopening the Realm). Last edited by Hallandil; Mar 10 2018 at 02:59 PM. Starts with Lorndur at Loeglond [14.1N, 31.3W]. Whilst the captured refugees are inside Tay Yoldash, Jangovar Marauders can be found roaming the hills around the ruins. Akshir is found within the western side of Usudhoba, within the ruins. Make sure to clear the general area around him as he can call other npcs for aid. Whilst he remains in combat after "using sorcery" the quest is progressed even if you die. Starts with the Lake-Town guard posted outside the town at [17.1N , 27.8W]. Note: Requires the completion of Trail of Rust up to Smaug's Remains to unlock. The scene of the crime is found on the North-western part of Lake-town, directly west of the Manor, on a lowered platform guarded by two soldiers. The Smuggler's den is on the eastern side of the city, double wooden doors. Hint: Look for the person who appears to be running away from each of the scenarios. Starts with King Bard inside the Great-Keep of Dale. Last edited by Hallandil; Mar 13 2018 at 03:17 AM. Last edited by Hallandil; Mar 10 2018 at 11:20 AM. For the end-game around Update 22. The region focuses around a series of daily quests that are repeatable versions of already completed landscape quests, similar to content from Wastes or North Ithillien (Specifically the Herbalist dailies). Each daily quest gives a Token of the Lake and Rivers and gives an amount of rep towards reaching Kindred with the three factions. Erebor dailies give +1200 reputation, Dale-Lands dailies give +700 reputation and Eryn Lasgalen dailies give +500 reputation per completion. How do I unlock the dailies? 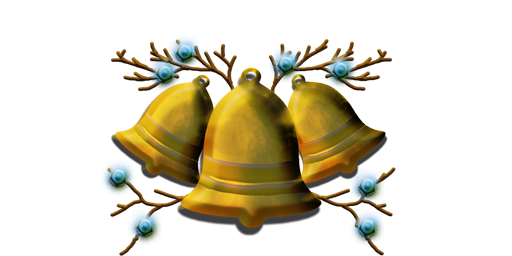 Upon completion, the player will immediately receive the notification that they have finished a hidden deed, "The Queen Regent's Edict" - found listed under the Epic Deeds section - This means that the player now has access to the region's dailies. 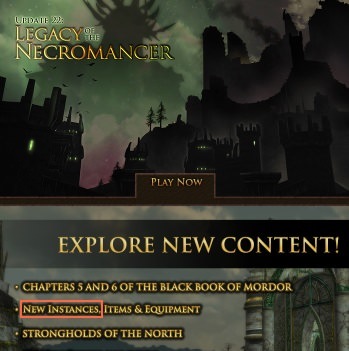 It is reccomended to have also completed the Black Book: Chapters 5 & 6 for ease of access to the new zone and also reveal several plot points about Karazgar, the Weeping Warrior; The changes to Mirkwood and its rename to Eryn Lasgalen; The arrival of dwarves to the Lonely Mountain from far and wide. The "Restoring the Three Kingdoms" daily is a wrapper quest that currently rewards a [Bound Black Steel Key] as well as [5 Tokens of the Lake and Rivers] for completing the set number of dailies (which is a total of 8). This quest is picked up from Queen Regent Erna from inside the Great-Keep of Dale. She also now offers the starting quest for the ongoing episodic Lay of Rust and Rime that is also unlocked by completing the deed above. There is a total of 24 possible dailies as part of the new zone, but only a total of eight are available for acceptance each day. Thranduil can be found at his throne in Felegoth, at [48.2N, 127.2W]. Radagast can be found in Eryn Lasgalen outside the door to Felegoth, at [19.9N, 36.6W]. Lorndur can be found at Loeglond amongst the Raft-Elves, at [14.1N, 31.3W]. Erna, Gaumar and Rótha inside the Great-Keep of Dale. These three NPCs can be found within the Great-Keep of Dale at [25.1N, 25.1W]. Alarr, Captain of the Guard. Alarr can be found within the Guard Barracks of Lake-Town at [17.0N, 27.3W]. Look for the Skirmish vendors on the radar. The Stout-Axes can be found within the inner hall of Erebor, on the RIGHT-hand side of the approach to the throne. The Ale Master can be found within the inner hall of Erebor, on the LEFT-hand side of the approach to the throne. Dís can be found within the lofts of Raven Hill. Located at [26.6N, 29.1W]. From the new region, there is item level 340 armour, jewelry and essences. Many of these items are obtained either through crafting or via the reputation / dailies grind, with the exception of a few pieces that are obtained from alternative sources. Last edited by Hallandil; Mar 10 2018 at 11:53 PM. New crafting recipes and items in Update 22 are available as non-grouping alternative drops for players. There are new Necklaces, Helms and Pocket recipes to barter for. Does this mean there is a new Crafting Tier? No. The highest crafting tier in the game is still Doomfold. What about all the new nodes on the landscape? Despite the deceiving appearance, the new nodes still drop Doomfold level items. With the exception of the Lasgalen Branches, which are converted to Doomfold through the forester profession. What's this about new recipes? There is new recipes available from the three Northern Strongholds factions that still use the same High-Quality cooldown materials and regular requirements. 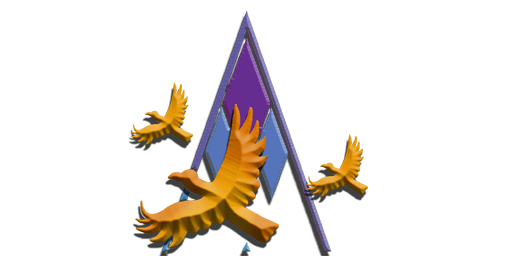 There is however, the addition of a [Lasgalen Purification Token] material that is bartered from either of the reputation factions for 40 x [Tokens of the Lake and Rivers] . It works the same way as the Gorgoroth Dungeon Fragments or the Fragments of the Abyss. 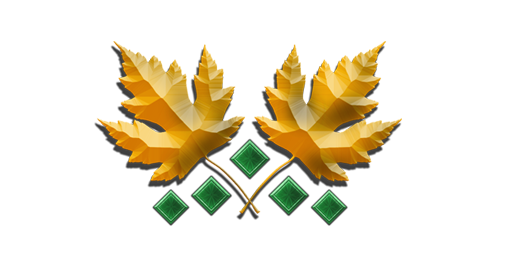 Unfortunately, it seems that as of release, the Purification Token is currently bind on acquire, so if you wish to have an item crafted, the actual crafter will need Kindred with one of the factions and the necessary barter tokens. There is also Epic quality 345 essences available that require an additional malleable essence and the new crafting token. Last edited by Hallandil; Mar 10 2018 at 11:45 AM. "Listen, and you shall hear the tale of strife and friendship between Elves and warves, circling back over the long years, in the shape of a single emerald necklace. It was a necklace of ancient make, wrought by the dwarves of old. Fine and gleaming was the gold, encrusted with five hundred perfect glittering emeralds, maybe more. Perfect, wondrous, radiant. A gift the emerald necklace was, given freely in times of good will. But friendship, far more fragile than any metal or gem, did not endure. What memories remain of those first years are but fragments. The emerald necklace was lost in war, given in marriage, tainted by treachery, and cast aside in sorrow. Gweriamir we named that necklace then, the Jewel of Betrayal, and no sign of it was seen or heard for years beyond counting. Time went on. To the Great Greenwood we came, and, sorrow and misfortune ever at our heels, finally to caverned Felegoth, near Erebor, and so, near to dwarves. Thus an ancient bond was reforged. The eternal story of Elves and dwarves took its familiar path: friendship, distrust, strife, and then, betimes, friendship again. On just such a peace-weaving visit did I come to Thrór's mountain halls. The feast was set, words of courtesy prepared - and then he stood, where upon his breast I saw the Gweriamir, gleaming green and gold! It was given to him by Men, Thrór said. Men chanced upon it in some troll-hoard, he claimed. I was wroth and had no ears for such tales. Over that cursed necklace, blood was nearly shed that day. Truly, it may have come to blood thereafter,had not the dragon come and scattered the dwarves far from Erebor. Years flowed by once more, and we tended to our woodland realm, forgetting friendship, emeralds, and grievances for the time. Yes, years ran together until one day, everything changed. The news came: the dragon was slain, there was a king under the mountain. And that day we remembered - remembered friendship, grievances, and debt. To Erebor from Mirkwood we came, armed, righteous, bent on reclaiming what was ours. I do not like to think what might have happened, if true enemies had not appeared. The Battle of Five Armies it is called, but there were only two sides in that hour: Elves, Men, and dwarves against the throngs of evil, until the Eagles came. After the battle, the dragon's hoard was divied up, and though I would have forfeited all our share for it, The Gweriamir went not to Elves but to Men. It was then that Bard, the leader of Men, did the wise and unthinkable: he broke apart the necklace, handing its gold to the dwarves and to the Elves its gems. Perhaps the age of Men is truly come. Or so it seems to me when the greatest wisdom is to break what you hold dear and to loose your shackles with forgetfulness." "Long ago, there lived a simple archer named Bródda. One day, he came across the Dwarf-king Thrór beset by Orcs, and with his arrows saved the Dwarf-king's life. Thus was Bródda made Lord of Dale, and by the Dwarf-king Thrór gifted the name Geirjarn Ironbolt and a Black Arrow, thrice forged, hard enough to pierce through stone. King Thrór promised such a gift to each Lord of Dale. Trade grew and thrived between Men and Dwarves, and for seven more lords, seven more Black Arrows were forged. And then the dragon came. Fire and ruin did Smaug rain on Dale and Erebor, for he had set his heart upon the riches under the mountain. Now the Lord of Dale when Smaug attacked was Geirjarn, third of his name. Seven Black Arrows he loosed upon that worm, and each fell short of its mark, the last leaving only a scratch, before he perished in the flames. Smaug's Desolation fell over the vale. Men fled to Lake-town and the Dwarves fled farther. Geirjarn became known as Girion, his sad and shameful tale spread far and wide. What few knew was that one Black Arrow survived. Eight Lords, eight arrows. Did you count? It fled the fires with Brandjarn, Girion's son, who survived. Brandjarn took the name Brand, hiding all his lineage for shame of his father's failing. And so the Black Arrow passed secretly from father to son, father to son. Many years went by, and Bain, Brand's grandson, came out of the woods to be an archer of the Lake-town guard, like his distant ancestor before him. Father to son and father to son again the Black Arrow was secretly passed, until the day the dragon sleeping within the mountain awaked. Roused from slumber, Smaug took to the sky, and all the Lake-folk would have died but for your great grandsire, named as you are: Bard. Fire around him and dragon above, Bard stood just as Girion had done long before. Yet Bard's aim was true, and his one Black Arrow struck Smaug down. After the slaying of Smaug, Bard's true lineage was revealed, and so he was named Bard the Bowman, new king of new-built Dale. Great were the gifts of the new Dwarf-king, Dáin Ironfoot, not least among them new Black Arrows, thrice forged, one for each new Lord of Dale. And so this arrow was forged for you, my son. May you never need it, yet keep it well, for some distant day, it may save us all." "Many are the enemies of dwarves: goblins, Wargs, spiders, Orcs. But oldest and greatest of our foes, yes, maybe greater even than Durin's Bane, are dragons. Where dwarves toil tirelessly, dragons sleep. What dwarves have mined and wrought, dragons steal. What dwarves barter and bestow, dragons hoard. Truly, they are our natural foes. And, like all of dwarf-kind's greatest sorrows, the curse of dragons was brought on by ourselves, and cost us all we dreamed and held most dear. For it was we, of Durin's Folk, who woke the great dragons in times of old, and in doing so lost the Grey Mountains that we called home. To Khazad-dûm we retreated then, but at last the wakened dragons came and found us there. With the aid of Elves and Men, we bested them, though the cost was great, and for a time knew peace. Centuries of peace passed, and the memory of dragons faded. So it was that to the Grey Mountains we sojourned a second time, unknowing that the dragons who had lived and fled lay slumbering there. Again we fled the dragons' wrath and this time came to Erebor, the Lonely Mountain. But the great Scatha, wakened, wandered far and wide, troubling all. It was a Man, Fram, son of Frumgar, Chief of the Éothéod, who ended the dragon Scatha. A great deed to echo through the ages, and a dragon's hoard as prize. Now much of Scatha's hoard was taken from Durin's Folk, and so a messenger was sent to the Men of the Éothéod, begging our share. What was their reply? A necklace made of Scatha's teeth and nothing more. This was the final dragon's curse: a sickness of greed that turns those who should be allies into foes. Time went and our dreams of the North would not die. So yet again, in the days of Thorin I, to the Grey Mountains we ventured again. This time, the dragons whose lives and memories are longer than ours, bided their time and waited. In a time of quiet, when the new king, Dáin I thought all safe, when the Men of the Éothéod were off at war, then the dragons struck, and much was lost. The cold-drake Vethúg Wintermind slayed both King Dáin I and his son, Frór. Their Grey Kingdom was lost, and we fled again, tears in our eyes, to return north no more. Now Thrór II built anew in Erebor, and Grór his brother in the Iron Hills. Our dreams were dead or abandoned, but in time Smaug the Golden awoke and to the Lonely Mountain came. The tale of Smaug in Erebor, and how upon Thorin Oakenshield's return, Smaug woke and was slain, is well enough known in these times, I will say only: let this be the last dragon and last of our sorrows. Some may say I am cautious or old and weary, but still I say: let us dream no more dreams that may bring ruin on Durin's Folk. Let dragons sleep, and dwarves toil fruitfully where they dwell, and the work of our hands suffice." **Special Thanks to Arkanur for the locations. Last edited by Hallandil; Mar 12 2018 at 08:09 AM. The new zone of Eryn Lasgalen can be very confusing to navigate on a person's first time through. At this point I'm sure we've all heard some of the complaints on World about attempting to explore and conquer the forest, only to reach an impassable hill, a sudden dead-drop or find ourselves back in the accursed Rhachlo with our character's on the ground with their pants down. Around the roads, paths and between most major locations, there are faint but still present marker stones. These stones give a rough outline of the general path for the player to use in going from A to B wthin Eryn Lasgalen. Following these through the fog and thicket will help mitigate you from suddenly finding yourself stuck or getting lost while following the quest marker blindly in hopes to reach it. This map has been edited to show unmarked paths between the remaining major locations in Eryn Lasgalen that don't have a clear path towards them. These include Tham Aeldir, Torech Emmel, Tholkat and the spider dens you are asked to visit while questing throughout the region. Whilst this map does not give an exact route, I hope it assists in giving a general route in which to take - to prevent even more roadblocks and any unexpected hills. Last edited by Hallandil; Mar 10 2018 at 12:02 PM. Oh, by the way, you can Swift Travel from the Bree South Gate Stables to either Dale or Lake-town. It would seem that they (inadvertently) dropped the Swift Travel to the 21st Hall while adding these. Thank you for this fabulous guide! I just hit 115 yesterday and want to bypass Mordor and go straight into the new area. This will help tremendously! It could be helpful to specify which particular NPC gives each of the daily quests, because it is not always obvious which one it is. Going to add a second list of which npc gives which, just getting a list of ;loc and making sure. Great guide, thank you! You probably have already, but this should totally go in the Lotro-wiki. I found one more quest in the Dale-lands. Killing a sickle-fly started a landscape quest. You can find them along the banks of the Long-lake, either side. I forget the name, though. Ah, here it is: "Buzzing Sickle-flies" and it is a kill quest (6?, or was it 10?). Perhaps interesting to know is that no incomparable bracelets are available yet as barter or as quest reward (to my knowledge). Maybe in the future? It's so people who raid have something to wear from the raid (if you non will class). They are gradually replacing that raid gear but it seems they want to avoid big #### storm that U19 caused which basically totally replaced all of raid loot on one update... So thing they doing here is good way to do things. Smaller gear updates (updated amount of pieces) and spread them out on multiple updates hopefully. Not causing major stress on players on replacing all 15+ pieces of gear on every 2-3 months like 20-21.3 was. Anyway Will classes got their new BiS bracelets. Use the slow-travel horse between Tham Terdol and Felegoth. Let the horse take you to the nearest point on the road to where you want to go, then dismount and ride directly from there to your destination. I've been talking to Thranduil and then plunging to my death into the stream below. Gets me outside quick but must be playing on the mind of Thranduil. I agree. I'm just curious in which way they will add such small amount later on. In that respect, this caught my eye as it's odd: which instances? Will be referring to these later and would like 'em on page one.